August 31, 2012 | William A. Schreiner, Jr.
OK, that’s an old joke. But Labor Day is about more than back-to-school sales and beaches. 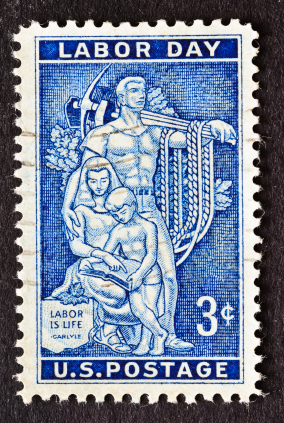 This is a short post looking back at the history of Labor Day. But wait, you say: isn’t this a blog about disputes between high-level employees and their companies, often where there’s an employment contract at issue? Yes, absolutely it is. That’s the bullseye of our focus. Look broadly at that target, though, and what you see is friction: friction in the relationship between an employer and its employees. We are most intrigued when the friction involves a senior executive and a company. We are also intrigued when disputes arise because an employer asked a job applicant about his religious beliefs or required him to disclose his Facebook password in order to apply, or a company fired an employee shortly after learning that she was pregnant, or a company claims that a former sales agent violated the non-compete provision in her contract by selling a competitor’s products in the company’s territory – even when that job applicant or employee is not at the C-level. That’s because the same laws against discrimination apply to all of us, and courts apply the same principles of contract interpretation regardless of whether the employment contract is between a CEO and a Fortune 500 company, or a first-year sales associate and a family-owned business. This weekend, the labor movement – involving employers, employees, and, ultimately, complicated and regulated contracts – is drawing our attention. So, enough about why we’re writing about Labor Day: let’s get to it. 1. It’s not even clear who came up with the idea. This involves a McGuire v. a Maguire: according to the Department of Labor, "some records" show that Peter McGuire, a co-founder of the AFL-CIO, was the first to suggest a day to honor those "who from rude nature have delved and carved all the grandeur we behold." The same agency, though, notes that "many believe" the holiday was first proposed by Matthew Maguire, who was secretary of the Central Labor Union in New York. 2. It may even be a Canadian idea. Perish the thought, but there is some evidence that the holiday was first celebrated in Canada in 1870 – twelve years before the first U.S. celebration. 3. In the U.S., though, Labor Day started – like many good things – in New York, where many unions threw a post-parade party featuring "speeches, a picnic, an abundance of cigars and, ‘Lager beer kegs... mounted in every conceivable place.’"
4. Following New York’s lead, within seven years 23 states had created a Labor Day holiday. 5. Ironically enough, Labor Day was elevated into a national holiday to calm labor tensions. In 1894, President Grover Cleveland declared a strike at the Pullman Train Car factory in Illinois to be a federal crime and he sent in 12,000 federal troops to break the strike. Violence broke out and two strikers were killed. Facing a backlash – and an election in the fall – Cleveland promptly tried to make peace with the labor movement and rushed a bill through Congress creating a federal Labor Day holiday. 6. There’s more to the no-white-suits-after-Labor Day rule than you think. At suits-by-suits, we take the rule seriously, and dispatch our editorial assistants off to make sure our seersuckers get a good cleaning before they’re stowed away. But the sartorial rule may have marked an early class distinction, according to this historian.